Like every patriotic Kurdish family, I was raised up by parents who did their best in educating me about Kurdish culture and history. They managed to keep our culture alive, even though I was brought up in Europe. We speak for instance Kurdish at home and we celebrate Newroz each year. Besides, we are supporting the biggest Kurdish political party in Turkey. Back in the nineteen’s my brother attended to a demonstration in Diyarbekir demanding equal rights for the Kurds, since the Kurds were forced to assimilate. It was for instance not aloud to speak Kurdish and to listen Kurdish music. This is, off course, against the notion of every existing law. In the meanwhile, the brutality and the aggression of the Turkish government was increased. My brother got arrested at that demonstration, and he was tortured for months in the prison. Later on, the news came that two of his university mates were executed by the government. He could not hold so much injustice and decided to join the Kurdish freedom fighters movement. My parents had mixed feelings. On the one hand they were concerned about my brothers live, and on the other hand, their son was going to fight for the greater purpose – for his nation. After years I saw my brother again. He was a grown man, he had seen and experienced a lot. I still have not convinced him to write a memoir in order to share his story with the world. As the years passed by, I was looking through another view at the Kurdish problem and started to question myself deeply. Even though the questions were basic, finding the answers were quite hard. Maybe I was not ready to accept the truth and see the real face of injustice. In the meanwhile, the Kurdish nation was loosing blood daily. 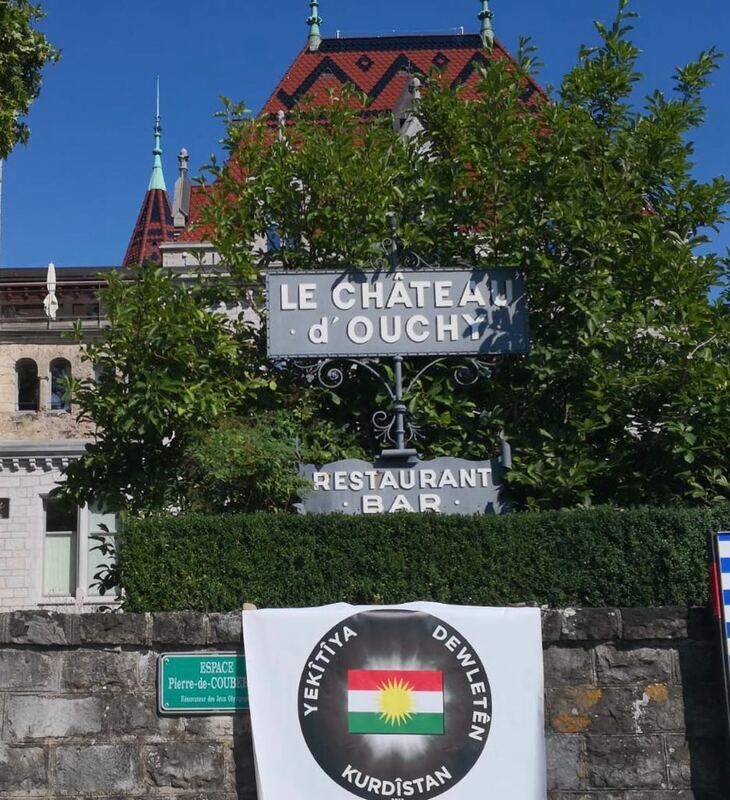 As a reaction to this injustice, the Kurds were demonstrating everywhere in the world. Would this demonstration help to solve the problem? It did not help my brother and two of his mates. If demonstrations were not helping, what is then the solution? After the referendum in Kurdistan, it was clear for me that the occupiers of Kurdistan would never accept the Kurds as a nation. The referendum was totally democratic with a voter’s turnover of 97% for an independence Kurdistan. It was a shame to see that the world leaders remained silence on this matter and did not respect the people’s will. In tandem with this, it seemed that the world was forgotten that the Kurdish heroes defeated ISIL – the most dangerous terrorist organisation ever. I hope my nation understand that beside the Kurds, no one is a friend of them. One of the greatest blessings of my life was being raised in Europe. In Europe I got the opportunity to develop myself to the highest level. Moreover, It was satisfying that I could speak my own language and live my own culture without the fear being arrested by the police. However, it does not feel home, since we are a guest here till we have our own state. Almost eleven years later after being in Europe, I went back to Turkey – where I was born – and did not feel at home either. However, live goes on and I met a special person in my live that had a vision – an idea that could safe the whole Kurdish nation. It would give over fifty million people peace, justice and protect their civil rights; it would bring the occupiers to justice for their committed genocide and aggression against to Kurdish nation. Besides, this vision would meet the expectation of all the Kurds, would destroy terrorism in the region and would bring peach and stability to the Middle East. For me, every day not working on this vision was a lost day. As soon as we decided to turn this vision into a project, I applied as volunteer to participate and to contribute to this holy and blessed task. Today we have announced the United States of Kurdistan in exile, in the same city, the same room, where the dismemberment of the Kurdish nation was decided exactly 95 years ago. I met some of the participants first time in the meeting. I was amazed by their dedication, self-confidence and decisiveness. I would like to take this opportunity to challenge every Kurdish people to join us in the way to justice and peace for the Kurdish nation. I believe that we would be unstoppable if we unite our strength. The future is going to be bright and the Kurdish people will have a place they call home again.